When you face a DUI charge in California, you’ll be asked to plead guilty, not guilty, or no contest (“nolo contendere”). But before you make a plea or even consider it, you need to have the advice of an experienced Orange County DUI defense lawyer. 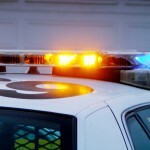 If you’re charged with DUI in southern California, make the call immediately. A not guilty plea can be entered for several reasons. Every criminal defendant in the United States has a legal right under the Fifth Amendment to avoid self-incrimination and plead not guilty. A not guilty plea may not mean that the defendant genuinely thinks he or she is actually innocent, but it can be used as a legal strategy. Defendants (and their attorneys) frequently offer a not guilty plea if they believe that they can “get a better deal” by doing so. Of course if a defendant is factually innocent and knows it, the not guilty plea is an obvious choice. 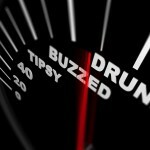 It forces the prosecution to prove the defendant’s guilt beyond a reasonable doubt, and that’s often difficult when a DUI case goes before a jury. Your attorney may also advise you to enter a not guilty plea as a way to test the prosecution’s burden of proof. If a prosecutor really does not have the evidence to convict you at trial, a not guilty plea may result in your DUI charge being reduced or dismissed – although there’s no way this can be guaranteed in advance. Either way, however, the prosecutor’s response to your not guilty plea will tell your lawyer a great deal about the prosecutor’s evidence and confidence in the case. If you face a DUI charge in southern California, you need an attorney who routinely handles similar cases and who understands the various ploys and strategies that can be involved in DUI cases. 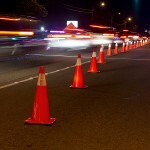 Don’t plead guilty to a DUI charge, and don’t try to act as your own attorney. If you’re confronting the charge in the southern California area, discuss your options immediately with an experienced Orange County DUI defense lawyer.